Bought this sweater online after it was not available at the concert I went to. Its great quality and very comfortable! Sweater fits true to the unisex sizing. Shipping was simple and quick. 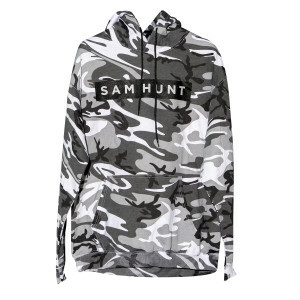 Bought this for my daughter for Christmas that is a HUGE Sam Hunt fan. Great quality and fit - has been washed and did not shrink or fade!!! Love it!